Alessandro Sorbello: Sorbello, A., & Karsaklian, E. (2016). The Multidimensionality of Identities and Emotional Engagement: The Case of Italian Week in Australia. International Journal of Strategic Management, Volume 16(Issue 1), pp.105-119. Sorbello, A., & Karsaklian, E. (2016). The Multidimensionality of Identities and Emotional Engagement: The Case of Italian Week in Australia. 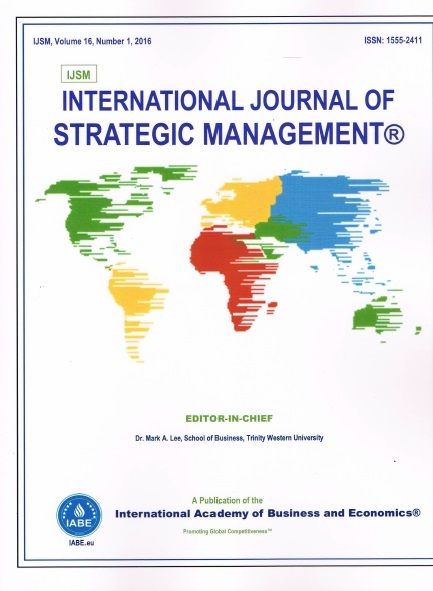 International Journal of Strategic Management, Volume 16(Issue 1), pp.105-119. Consumer Identification has been extensively studied as being a condition for creation of communities and for shaping consumption patterns. However, no research has been conducted to explore the effects of experiential meaning on consumer identification and their consequent emotional engagement in Festivals. We outline a model for emotional engagement (The Emotional Engagement Model – TEEM) which provides a general framework to understand the impact of experiential meaning in stimulating consumer identification with the culture. A qualitative study generated key factors leading respondents to establish emotional engagement with Italian culture which were then used in an online survey. Our results demonstrate the ability of Italian Week in creating emotional engagement thanks to the fusion of three different types of identification – self, social and cultural – which we called Multidimensional ID.